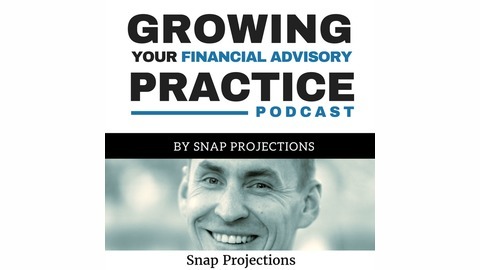 If you&#39;re a financial advisor, planner and investment manager looking for tips, strategies, and insights that can help you grow your firm, this is the podcast for you. 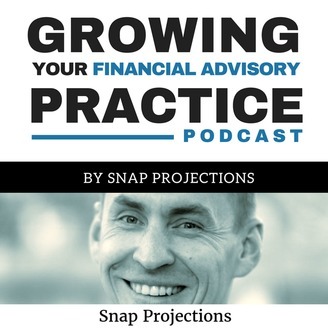 Tune in to the interviews with industry experts whose experience and insights will help you grow your own financial advisory practice. You’re a pro at helping clients handle change in their financial plans, but how can you navigate major transitions in your own business? As an entrepreneur and advisor, you have to continue to give clients excellent service even during times of change; today’s guest is very familiar with this professional challenge. Jim Greenwood is a Managing Partner at Blue Sky Lasting Wealth. A CFP with 25 years of experience, he most recently transitioned to IPC Securities and founded BlueSky Lasting Wealth. Listen to the episode to hear what Jim has to say about managing changes — both in your career and in the industry. Jim not only has 25 years of experience in the business — he is also in the thick of some major changes in his practice, including moving to a new office, transitioning to serve more and more high net worth clients, and working with another advisor on a succession plan. Today he’s sharing his advice for keeping your clients happy while navigating major transitions in your business. Jim has always been interested in the financial services industry and always thought he would be an accountant — until he did a work term with an accounting firm and hated it. Eventually, this led him to financial planning. Jim recalls his time starting out as an advisor wasn’t easy. But he sees that today, the barriers to entry, and in particular the expenses of being in the business, are even higher. So when people ask him how they can get started as advisors, he doesn’t recommend doing what he did. Instead, he suggests that aspiring independent advisors start their careers at a bank or an insurance company, or work for another advisor, to experience the business and get their credentials while earning a salary. Hint: To hear another perspective on starting out in the business by working in an adjacent industry, listen to our interview with Jason Pereira on how to compete and win in the Canadian HNW segment (his advice for new advisors starts 42 minutes into the episode). Jim and his staff are currently working on a succession plan to help another advisor, Grant, transition out of the business over five years. They’re spending the next year and a half combining their clients and staff. He’s serious about the level of service he provides, and he wants to make sure he can keep doing it — in fact, he wants to increase the quality of service he’s already providing clients. He’s “fiercely protective” of his and his staff’s time — and their free time in particular. He doesn’t want anybody to be constantly working overtime to keep the practice running. These two competing interests mean that Jim and his team need to make some hard choices. They need to very carefully and explicitly define everyone’s roles. And even with additional staff, they’re realizing that they can only really serve 250 clients well (which is how many they currently serve). This means that they will inevitably have to let some clients go — any more, and they would either have to work more or cut down on service levels. One of the main ways Jim offers such a high level of service is through excellent communication with his clients. You’ve probably already heard that the main reason clients leave their advisors is because of a lack of communication, and Jim wants to take that issue off the table. Keeping in touch with so many clients can be a struggle, so Jim has made it as painless and automatic as possible. He segmented his client base, determined how often he should meet with clients in each segment, and broke down how many meetings he needs to do every week to fit everyone in — then, it’s up to his assistant to fill those meeting times with clients. Additionally, he’s decided to check in a certain number of times with each segment of clients — he calls some once a quarter and others once a year. Every month, he gets a list of clients to call and makes his way through the list over the course of the month. Jim never wants a client to feel like they need to check in with him because they think something is wrong. So recently, his office started a new initiative around proactive communication to really go above and beyond. For example, pension transfers can often take weeks to complete, but no new client wants to be waiting for weeks or even months with no word, wondering if Jim has forgotten about them. Instead, his assistant sends them an update every Friday to let them know where the transfer is at, so they don’t have to worry. In addition to the above initiatives, Jim’s clients get a Blue Sky Bulletin every other month with updates about the market and other information they may find valuable. His head office also sends out an automated newsletter. However, Jim is thinking he’s going to cancel the newsletter — he doesn’t want his clients getting so inundated with information that they don’t open the important emails. Good communication is always a matter of balance: sharing high-quality, relevant information that people actually find valuable. Hint: How can you more easily automate communication with clients? Whether it’s setting up automatic reminders to check in with certain clients or sending out a newsletter or bulletin, there are plenty of opportunities to make it simpler for yourself. We’re sure you want to hear more from Jim, so listen to the full episode where he talks about overcoming the most difficult aspect of advising clients, combating the number one concern around referrals, and more. You can find the show here on this page or, better yet, subscribe on iTunes or Stitcher so you don’t miss any episodes. And to get new episode updates right to your inbox, sign up for our mailing list below so you never miss an episode.